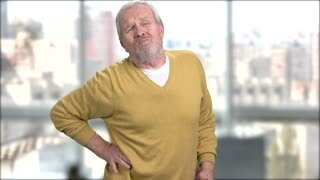 Old man has backache. Elderly couple outdoors. Pains in lower back. Old traumas influence health.